Week One Holiday Camp with Snowball! Week one of the Winter Holiday Camp is over! It was a successful and fun week, made even better with Macquarie's own Snowball visiting the kids everyday! 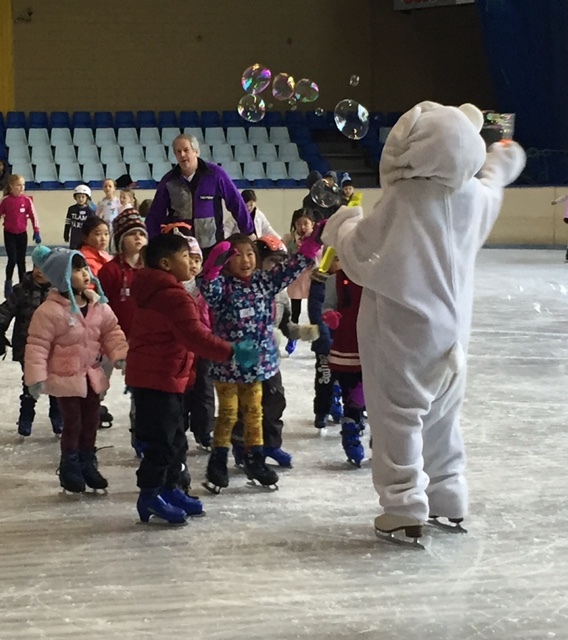 Not only did everyone enjoy games and bubble play, but they learnt the first steps in becoming confident little ice skaters.